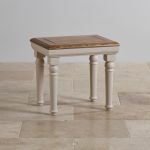 Part of our Shay collection, this beautiful dressing table stool is made from painted solid hardwood and rustic oak. 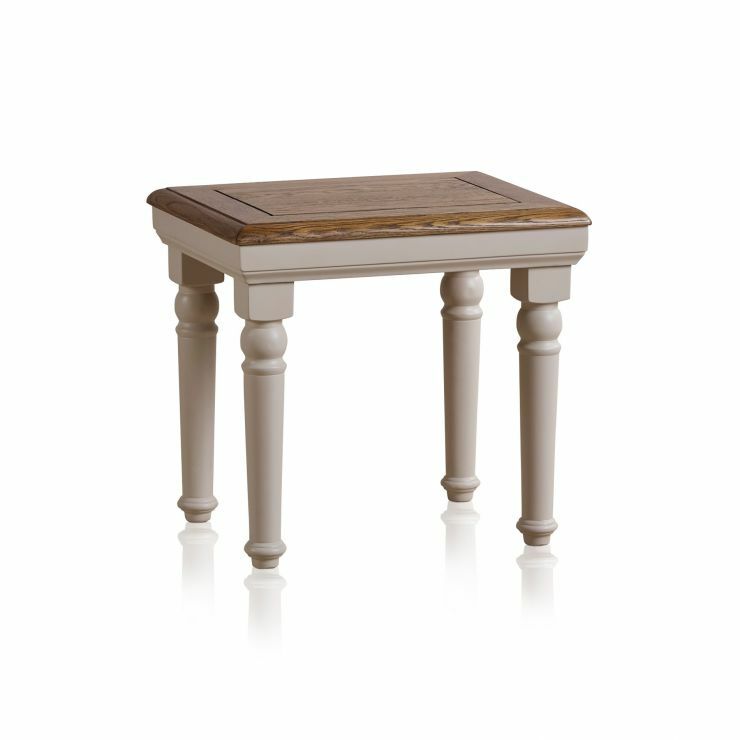 It is made to coordinate perfectly with our matching dressing table or computer desk, tucking away neatly underneath the kneehole. 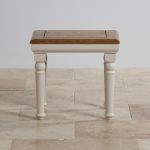 The stool is constructed with our renowned attention to detail, and all the design elements of our Shay collection. 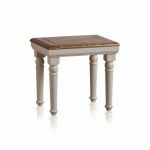 The top has delicate cut detail and cornices, and the legs are turned giving a simple elegance to the piece. 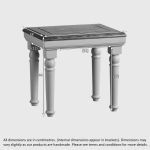 Browse the full range of our Shay furniture to find gorgeous pieces for every room in your home.